Sometimes I buy food magazines. I like to get inspired by their pictures and recipes. Two of my favorite magazines are Delicious and Knack Weekend. In general it’s hard to find magazines with challenging recipes and ideas about how to decorate a plate. 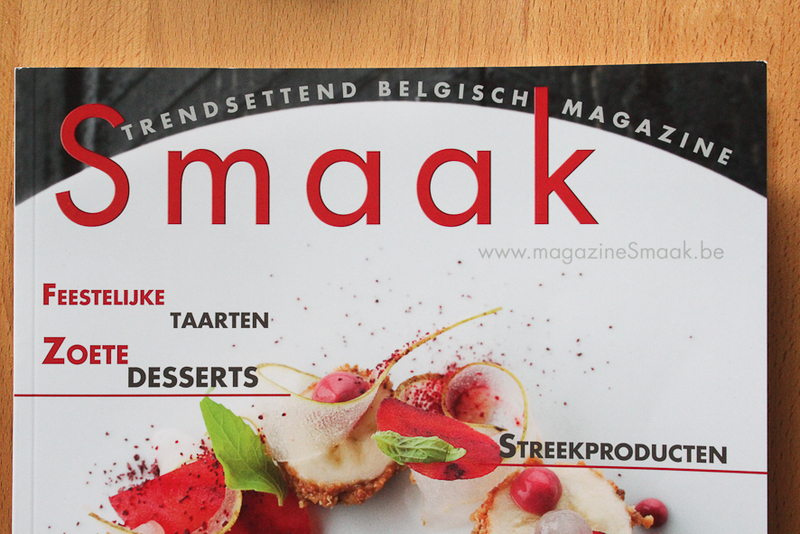 Last weekend I bought SMAAK, a Belgian food magazine. I was pleasantly surprised. 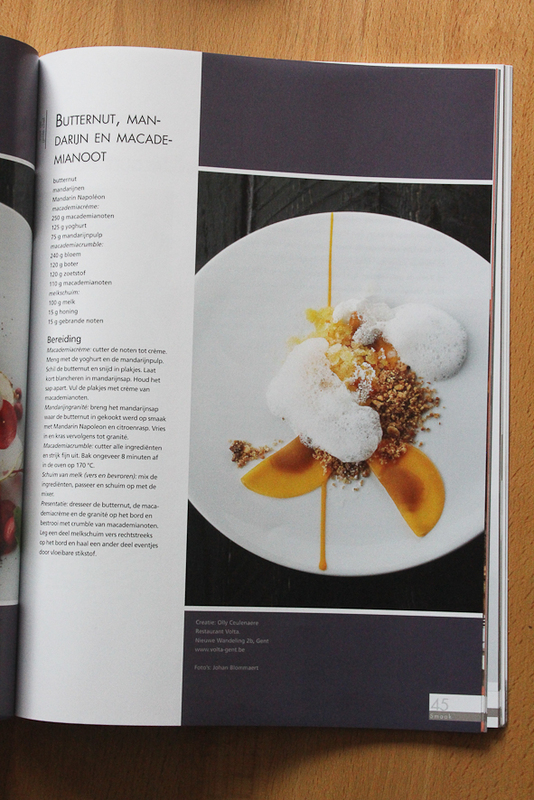 The magazine contains some delicious recipes, for example dessert without sugar by the chef of the Volta, a very good restaurant in Ghent. It is also full of pictures of nice decorated plates. I have only one remark. A lot of recipes are linked to brands of ingredients, like a special brand of vegetable stock or a brand of Belgian cookies. Last night, I tried to make the ketchup of Belgian endive or witlof. In stead of the King Crab, I used homemade croquettes of Goat cheese. A great recipe and easy explained. It’s a magazine to remember. 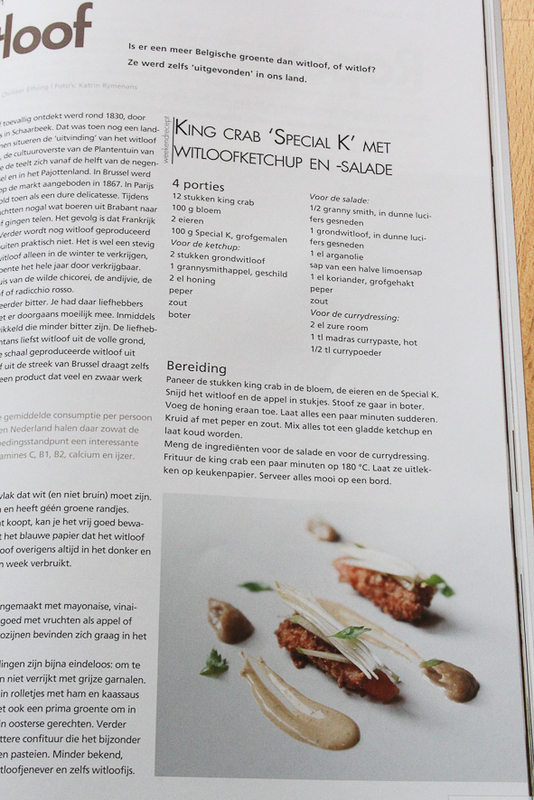 Does someone know some other great food magazine, Dutch or English? I also have an other question. One the Belgian magazines, Knack Weekend, organises a first competition between lifestyle blogs. Everyone can nominate his favorite food, travel, art or lifestyle blogs. From 20 april 2012 Knack will put a selection of the nominated blogs online and then you can vote for your favorite blog. If you like my blog, feel free to nominate it. This is the link: Blog awards. Thank you!